When I was sent this article, I accepted to publish because first its balanced and true. Again, I remember a picture (that went viral on social media last week) of a young girl who was said to have used her schools fees to 'sow seed' in Church and how people bashed churches, Christians and so called pastors. Idy James presents a common sense and of course biblical perspective to the madness of seed-sowing preached rascally in majorly pentecostal churches.Enjoy reading and drop a comment. 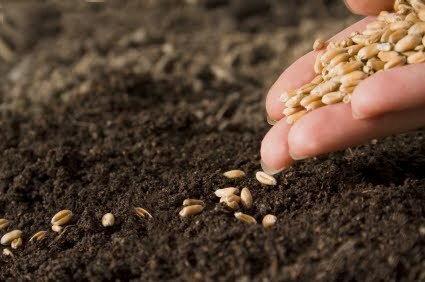 When Your Pastor tells you to Sow Seeds and get blessed, have you pondered where the seed should come from? It should come from your earned resources. But of what use is the Sowing if there are no means to get it? 90 percent of our failures is caused by the Church. You are told to bring seed to the altar. But I tell you, seed is meant to be sown on the ground while part of the proceeds comes to the altar either as tithe, offerings, first-fruits and sacrifices. When you become Born again, what the Church should teach you is how to sow, what to sow, where to sow and when to Sow. They need to tell you that Isaac dug different wells and sowed in that LAND( he located a Trade-farming-and located seeds, planted and harvested)LABOUR. And in that same Year, he Harvested a Hundredfold(FAVOUR). Isaac was a farmer(an Entrepreneur who Laboured by planting and Digging wells to Water his crops and because of his faith and Labour, God FAVOURED him with a Hundred-fold Harvest. Young Men, please God is not a magician. He only brings FAVOUR to complement your LABOUR not to replace it. He says I will bless the work of your hands. Even when he brought Manna to the Children of Israel, Manna ceased as soon as they located a Land(Canaan). Every young Man who has a Degree or is above 22 years and is still feeding from the parents is living on Manna. That's why you eat whatever your parents give to you. No choices. Any man who does not Labour lives on Favour and favour leaves you with little choices. Manna is like favour without labour. Joshua 5 vs 12 says Manna ceased because they were to eat the yield of the field. They had assorted foods because they sowed in Cannan. There comes a time your parents no longer have to cater for you. There comes a time you need to eat what you feel like eating. There comes a time you stop lining up in a politician's house for peanuts. All you need to Succeed is inside of you. Discover it, Visualise it, Create it, Pursue it and keep sowing, keep digging the wells until you eat the yield of the field. What is your Field? It is inside. Until you bring it out, you will continue to live on manna. And manna cannot give you options. We rely totally in God whereas God is relying totally in you because he had finished creation and released you to procreate. There are certain scriptures that are unambiguous. Proverbs 25:2 says 'It is the Glory Of God to conceal a thing and Honour of Kings to search out a Matter. God created you and hid His glory (talent or gift) and gives you a responsibility to discover it for your honour. If you don't discover it, you can't be honoured. You see why God has no hand in your case? Romans 8:19 confirms this Scripture when it says' For the earnest expectation of the Creature waits for the Manifestation of the sons of God. Oops! There is something in you that you need to discover, create it and manifest it. God, Your family, village, church, state, country and the world are waiting for you to manifest that thing that was deposited in you by your father(God). This is a random musing of an an angry Pastor who has observed the errors going on in the Church. When last did your Church organise Skills discovery and acquisition training for the unemployed? When last did it give young entrepreneurs seed money to start small scale businesses? Please remember that even unbelievers are also the Sons Of God who have not yet remembered their Father but recognise that they were created with something to manifest. Whereas, you know your Father but you refuse to manifest his gene. The difference between an Eagle and a Vulture is appetite. You are an Eagle. Stop sitting down there waiting for a dead food when you can actually catch it fresh...Enough said.